Dustin Brown v Antti Niemi. Mikko Koivu or Ales Hemsky. Are You a Baseball Chick? Over the next few months, Talk-Sports is gonna name the Baseball Chicks of the Web. Fans can submit videos on YouTube showing us that you are a baseball chick. Include the words talksportsnet baseballchick (baseballchick is one word) in the title or description of the video to be eligible for selection (actually... so we can easily find them). Here are some ideas for your videos. We will select 2 to 10 baseball chicks, depending on how many videos we get. 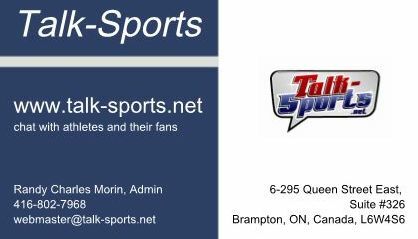 Those selected will be official Talk-Sports Baseball Chicks and they will be featured on the Talk-Sports website. The Baseball Chicks will then compete online to become the Ultimate Baseball Chick. All selected Baseball Chicks will receive free bronze memberships on Talk-Sports. The Ultimate Baseball Chick will receive 2 tickets to a baseball game at their local MLB ballpark. If you would like to co-sponsor this contest by adding to our prize pool, then please contact us at webmaster@talk-sports.net. I continue to get more and more request from athletes to have their girlfriend forums on Talk-Sports closed permanently. 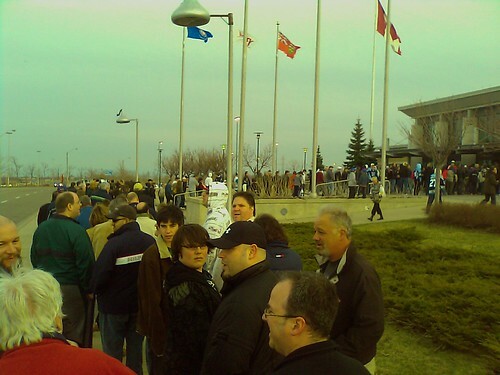 Many have offered cash, but I don't feel right about taking money to close forums. That could be construed as extortion. I have decided that any player may get their girlfriend forum replaced by a video of the player talking to their Talk-Sports fans. Must be 20 seconds to 5 minutes in length. Player must mention their Talk-sports fans. Player must introduce himself by name. Player can say whatever they want otherwise, as long as they are not abusive. Video must be provided in a standard format for upload to YouTube; MPEG, MOV, etc. Send the video to webmaster@talk-sports.net. When we verify the authenticity and approve the content, then we will upload the video to the Talk-Sports YouTube profile (http://www.youtube.com/user/talksportsnet) and embed the video on the girlfriend webpage. Comments will be disabled from this webpage and users will be redirected to the fan forum. The Subway Jalapeno 250 is the NASCAR Nationwide race at Daytona Speedway, the night before the Coke Zero 400. 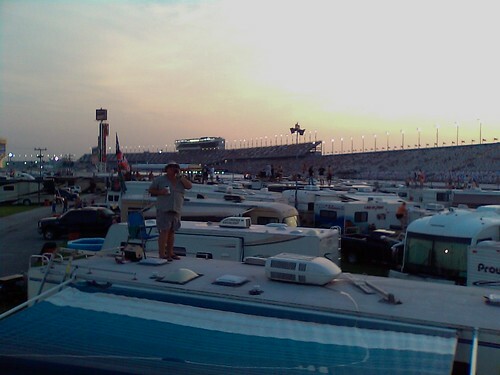 We were camped inside turn 4. 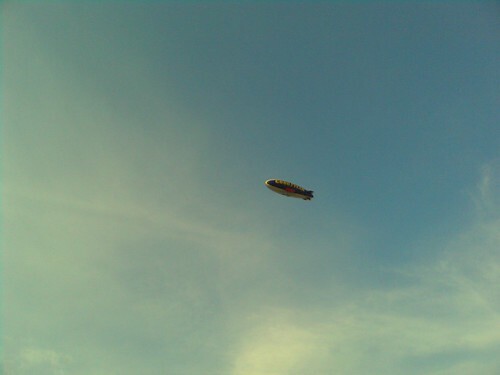 Here's a pic of the Goodyear blimp. 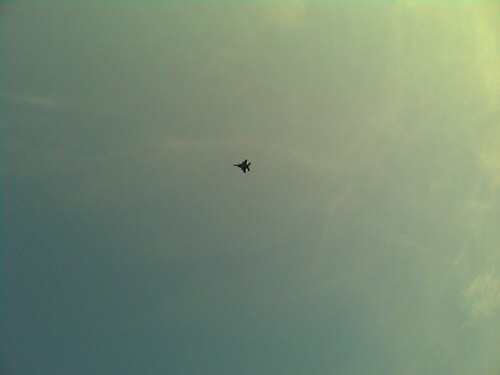 Two pics of the flyover. 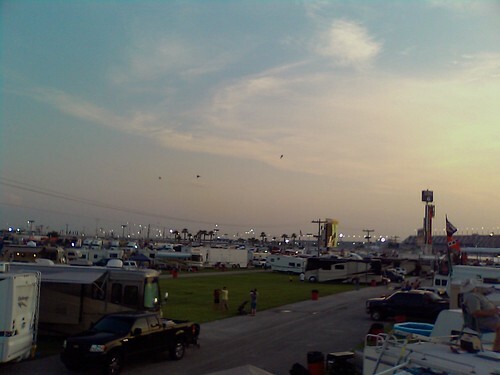 And a pic from atop the motorhome. Kyle Busch finished 2nd to Clint Bowyer. Kyle has been on a roll this year in the NASCAR Nationwide series, finishing 1st or 2nd in most of the races. This was the first double-file restart race in the Nationwide series. Here's some pics from the Coke Zero 400 practice session. 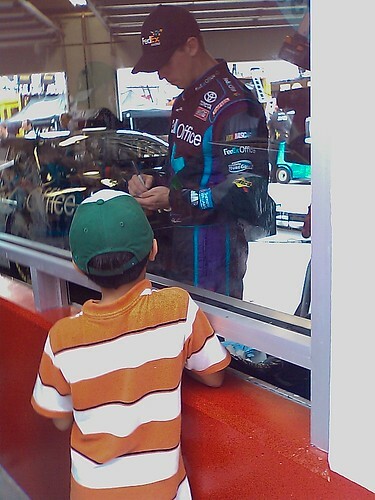 Here's Denny Hamlin, one of the stars of the race, giving my son an autograph. Denny is now on of my youngest daughter's favorite racers. She use to cheer for Kyle Busch. Now she likes the entire team. They also got autographs from Joe Nemechek and lugnuts from Kyle Busch, Jimmy Johnson and many more. The pit area was open (free) to the public during the first Nationwide and Spring practices. Click the below link to see all 76 pics. 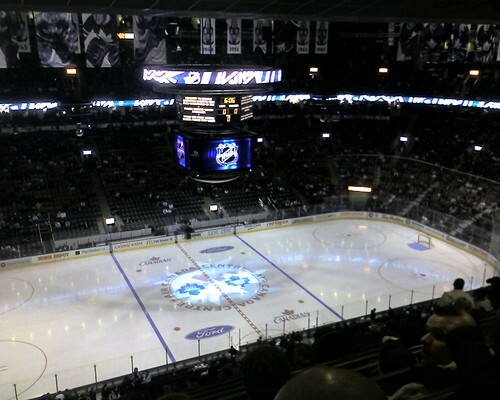 I went to the game with my 7-yr-old son last night. 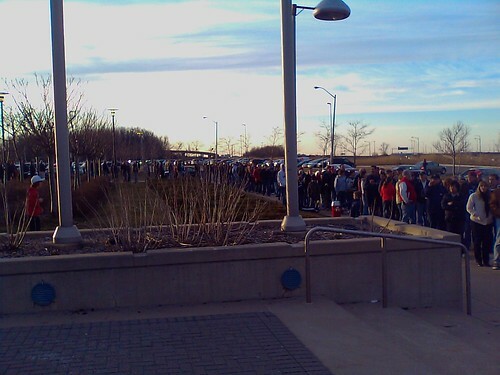 Here's a pic of the opening show. I'll upload a video later, YouTube is inaccessible at the moment. 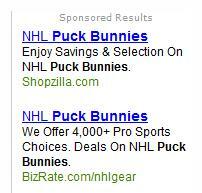 While creating a new Flickr profile for Talk-Sports, I discovered some very interesting Overture ads. Talk-Sports has a MySpace profile. Add us! And while you are at it. Add our YouTube profile.